The Wild should be looking at the trade market for a backup goaltender. Devan Dubnyk has been immensely reliable as their number one. He ranks in the league’s top three for save percentage, goals-against average, wins and shutouts. However, Darcy Kuemper has not been quite as solid. Kuemper’s struggles could have the Wild in a tough spot if they have to lean on him in the postseason. That might have the Wild taking a look around the league at what’s out there in advance of the trade deadline. Here are a few who might be available with an eye toward their compatibility with the Wild’s needs. Jonathan Quick has played just one period this season, but he is going to return. When that happens he’ll be the starter again. Either Budaj or Jeff Zatkoff will be bumped from the NHL roster. 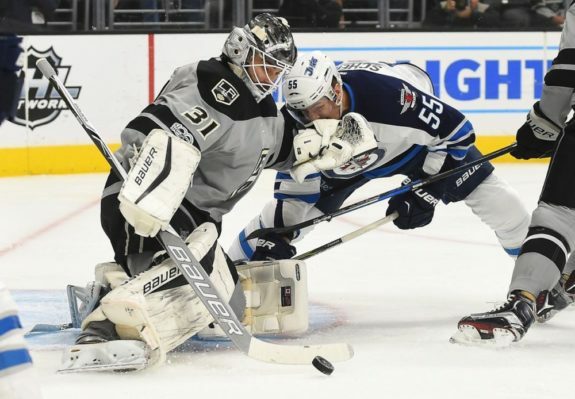 It may make sense for a team that has spent at the deadline for years to acquire a pick with what is ostensibly a spare goaltender, assuming Quick can get back to 100 percent. Of the two, Budaj is the one that has value. He’s playing better, his cap hit is smaller and his contract is up at the end of the season. Yes, the Kings still need a backup heading to the postseason, so they’d have to feel good about Zatkoff to do a move like this. But if they do feel OK about Zatkoff, they may have turned a one-year deal for Budaj into a draft pick. Enroth is the third mouth to feed in Anaheim. (Since Dustin Tokarski and Matt Hackett haven’t thrived in the AHL this season.) 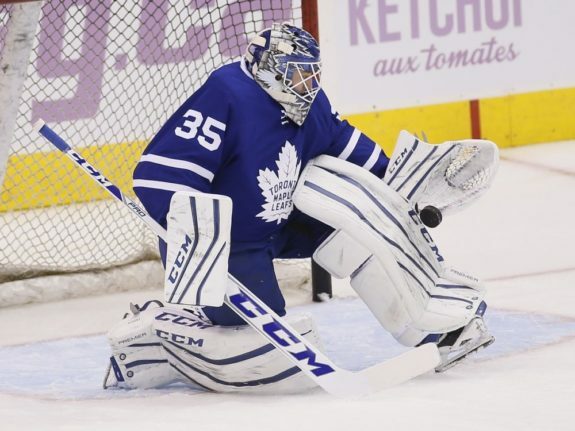 The Ducks acquired Enroth for a seventh-round pick in January, so they may be apprehensive to send away a new toy. However, after struggling with the Leafs, he’s been on fire in San Diego with a .954 save percentage through 10 games. That could the Ducks get more for him than they paid to get him. With a low price tag, experience and a hot streak there might be interest out there for the 28-year-old netminder. While it’d be a strange move to acquire him and then trade him away, the Penguins did something similar with Mike Condon earlier in the year, flipping a netminder to gain an asset. With three goaltenders lurking in Brooklyn most of the season, the one that found his way to the AHL is no doubt available (especially after Thomas Greiss got an extension). Following a decent performance with a .919 save percentage last season, Halak turned in a middling performance this season. With a .904 save percentage, he has the same mark as Kuemper, earned in more appearances. Nonetheless, Halak has experience and has more consistently been at least a league-average goaltender. Since being demoted to the AHL, he’s thrived for Bridgeport, putting up a .935 save percentage in 13 appearances. However, his $4.5 million cap hit with another year left on the deal makes the move unlikely. Hammond, who once put together an incredible stretch run, has struggled this year and lost his backup job to Mike Condon. Through just six games, Hammond has an .837 save percentage. He’s not likely a fit for the Wild with Hammond playing worse than Kuemper. But he has reportedly been shopped. Additionally, if the Wild had a serious interest in Hammond, they probably would have claimed him off waivers on February 11. These two haven’t been in the discussion, so there’s no clear indication they’re available. But the Flyers have a decision to make if they’re outside the playoff picture. Both are about to become unrestricted free agents and the team has help on the way at many levels. Anthony Stolarz has shown promising signs. Free agent acquisition and former Yale goaltender Alex Lyon has held his own in the AHL during his first pro season. Further down the line, there are highly touted prospects like Carter Hart and Felix Sandstrom. If you’re comfortable moving on with Stolarz as second fiddle, sign one of Mason and Neuvirth and try to get something rather than nothing for the other. Either might be appealing for the Wild at the right price in this unlikely scenario. The Jets have three goaltenders and it’s plausible they’d part with one if a deal presented itself. Pavelec has the most experience and is clearly not the netminder of the future. However, despite assertions from coach Paul Maurice, Pavelec has not been playing well since returning to the NHL. He has an .888 save percentage through eight games and has allowed at least three goals in every start. Pavelec could likely be acquired, but he might not be a good fit for any team. 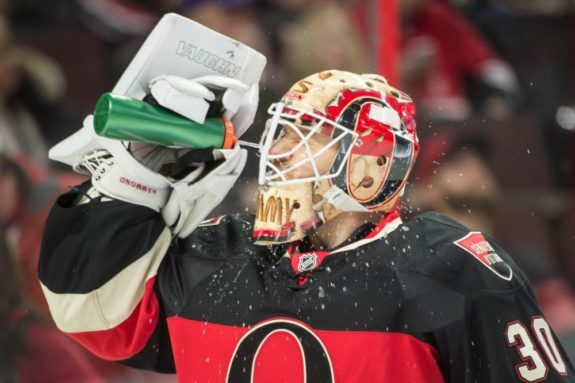 There are certainly other goaltenders rumored to be available for the right price, but the next step up with goaltenders like Marc-Andre Fleury and Ben Bishop won’t make sense for the Wild, who are tethered to Dubnyk for the foreseeable future. There’s also Karri Ramo out there with no team, but to allow him to be playoff eligible he’d have to sign before the trade deadline and any team interested in his services would probably want him to join on a tryout before getting a contract. Many of the options aren’t a perfect fit for the Wild and that might mean they’re rolling into the postseason with Dubnyk backed by Kuemper, even if they do have interest in alternative backup options.